The winners from our exclusive H2W series continue to spark our best weekly action. Lebanon Raceway was added this week, delivering two of the 14 winners listed. Feature-wise we were second at the Meadowlands with Yo Cheyenne Rocky and Volare DeVie in two of the series finals on Feb. 23. In the TwinSpires bonus-tagged Woodbine Pick 4 on Saturday we had just one winner, World Away, at $6.20. Our ticket, with two per race, finished 8-win/ 9-2/ 5-Scratch/ 7-4. The following are the horses that finished second or third from Thursday’s list along with their post-time odds. Special notes on their affects in those positions follow. Be aware that some of them were second-timers on the list and will not return next week (you may continue following them on your own, using them as you see fit). Freehold Raceway’s 2013 stakes schedule is official, kicking off with the Grand Circuit three-year-old Dexter Cup trot eliminations on April 27 with a May 4 final estimated at $130,000. The Lady Suffolk, the filly division, estimated at $77,000 is carded on May 3. A spring late closing series named after the late Kenneth Fischer, former owner of Freehold and Gaitway Farms, debuts with a first leg on Saturday, May 4, the second leg on Saturday, May 11, and the final on Saturday, May 18 with an estimated purse of $30,000. The New Jersey Sires Stakes (NJSS) divisions dominate the fall schedule along with the Lou Babic Memorial for frosh pacers. The eliminations for the “Babic” go on Aug. 31 with the two finals coming back on Sept. 7. The finals are estimated at $90,000 for the colt division and $55,000 for the fillies. Also, again, are the Helen Smith for soph-trotting fillies on Aug. 30, the Marion Dancer (frosh filly trotters), the Charles Smith (soph trotters), the Harold Dancer (frosh trotters) and NJ Futurity races. The second annual Open Space Pace will be held on Sept. 21 during Open Space Pace Day, recognized as a County Fair and an effort to preserve open space in New Jersey by raising awareness of the standarbred horse and harness racing industry. The complete states schedule along with more information on the spring late closing series can be found at http://www.freeholdraceway.com/. The 2013 race dates for Hoosier Park are also in the books. 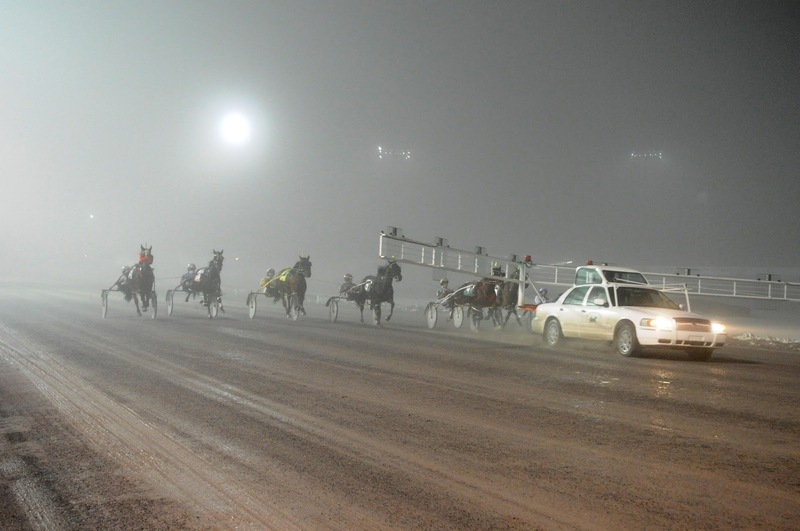 Hoosier will host solely harness racing. Hoosier’s meet begins Tuesday, April 2 and will conclude on Saturday, Nov. 9. The 20th season will offer 160 programs. Following a Tuesday-through-Saturday schedule, the daily post time is 5:30 p.m. The $200,000 Dan Patch Invitational Pace will take place on Saturday, May 25. New stakes that will be administered by the Hambletonian Society include the Fall Final Four, which consists of a quartet of races for two-year-olds: The Valley Victory, Goldsmith Maid, Three Diamonds and Governor's Cup. All four will be raced at The Meadowlands in November. The society will also service the Battle of Brandywine, the Colonial and the Valley Forge, which will be raced in 2013 at Pocono Downs. The Historic Stakes for two-year-olds are moving to Harrah's Philadelphia (formerly Chester). The Historic Stakes for three-year-olds will remain at Tioga Downs for 2013. Woodbine Entertainment Group (WEG) announced the 2013 racing schedule with the first race card of the season going Thursday, May 23. Harness racing will be offered on Thursday, Friday, Saturday and Monday nights until Monday, Oct. 14 in the total program schedule of 84. First race post time for each card is set for 7:25 p.m. except for the 7:05 p.m. post set for the North America Cup program on Saturday, June 15. Other highlights include the Maple Leaf Trot on Saturday, July 20, the Metro Pace/Canadian Pacing Derby card on Saturday, Aug. 31 and the Canadian Trotting Classic on Saturday, Sept. 14. Woodbine’s current harness season will continue on a four night per week schedule (Thursday, Friday, Saturday and Monday nights, post time 7:25 p.m.) until Monday, May 20. Northfield Park announced purse increases beginning March 11. The 10-percent increase is expected to be the first in a series of increases as the impact of casino gaming in Ohio, specifically the $265-million gaming and entertainment facility at Northfield Park, is fully realized. Northfield races more than 200 cards per season, with a current live schedule of Monday, Tuesday, Wednesday and Friday nights with post time at 6:30 p.m.
A rash of one-program streaks for harness drivers took place in the last few weeks. At Yonkers Raceway Jason Bartlett picked up where Brian Sears left off. 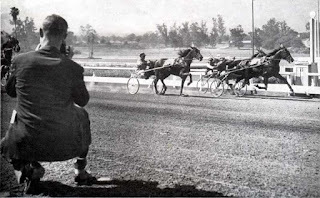 After Sears won 13 of Yonkers’s previous two dozen races (with one dead-heat) over the previous two racing nights, it was Bartlett who streaked with five wins on a program. Also tabbing multiple-win nights was Yannick Gingras at the New Meadowlands and Corey Callahan and Ron Pierce at Dover Downs. Then, at Northville in Michigan, Ronnie Wrenn, Jr. won 10 of the 14 races on the program. Trotting champs Workaholic and Armbro Goal have died. The former died at age 31, in France and the later died at age 28, in Denmark. Armbro Goal was raised and bred by Armstrong Brothers and was campaigned by Continental Farms Stable. He won the 1988 Hambletonian, Canadian Trotting Classic, Beacon Course and World Trotting Derby. He raced 13 times as a sophomore, winning 11 races and finishing second once. He earned $1.31 million that year. Armbro Goal sired two winners of the Hambletonian Oaks, Winky’s Goal and Oolong. He was also the sire of the very popular FFA trotter Fool’s Goal 1:51.3 ($3,057,070) and Legendary Lover K, who in 2002 won the European Grand Circuit and now is at stud in Italy and Denmark. Armbro Goal was sold to Italy, where he was at stud at Orsi Mangelli Stud but since 2009 he has been in Denmark. His last foals were born in 2012 in Denmark.